With the death of Stan Lee in November 2018, it opened up an outpouring of love and recognition across the media. With the resultant attention, it brought to mind this engrossing documentary about his life. As a positive piece, it perhaps naturally glosses over events like the rifts between Stan and his two most famous co-workers, but then the 80 minute running time doesn't really allow for much more than a quick tour. This is a documentary there to praise Stan, not a "warts and all" piece, and so Jack Kirby leaving Marvel, for example, is exclusively tied down to a bad write-up he received in a newspaper interview. The supposed disharmony between Stan and Jack is largely the subject of hearsay, speculation and an embittered interview with Jack from 1990. Yet watching this documentary gives the impression the two were really life-long friends, though as the Kirby Estate lawsuit against Marvel was underway at the time, they probably wanted to avoid most of this discussion. Not that such things have to be covered in any great depth, but it's often too fast-paced and "bitty", various images fly at the screen and it seems to not settle on one thing for long. As an example, Stan's birth in the 1920s up to his life in the 1950s is dealt with in less than 15 minutes. This also includes much discussion on the Comic Code Authority, putting the origins of Marvel into some form of perspective, with Stan crediting his wife for giving him the idea to go ahead and write comics the way he wanted. There's also a look at the less-than-successful adaptations of the company throughout the 80s and 90s, including a sobering clip of John Stewart on The Daily Show stating that a Spider-Man movie would be a "major motion picture failure", such was Marvel's fortunes at the time. More downsides are touched upon, including the bankruptcy of Stan Lee Media. 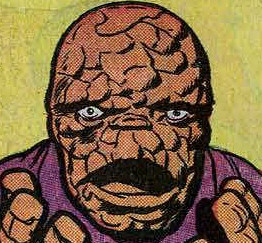 However, the generally upbeat tone of the piece can be gleaned from sequences showing clips from the successful films that were then beginning to emerge... the two Tim Story Fantastic Four movies are included, as if they were major hits alongside the Sam Raimi Spider-Man movies and the beginnings of the MCU. The documentary is also a talking heads piece, in part, with the likes of Nicolas Cage, Kirsten Dunst and Kevin Smith giving their views, alongside comic alumni such as Roy Thomas, Joe Simon and Joe Sinnott. These sequences might lead to retroactive startlement as they include a couple of directors who have received recent controversial headlines, but such things could not have been known at the time. There are also many archive clips of variable quality interspersed throughout. 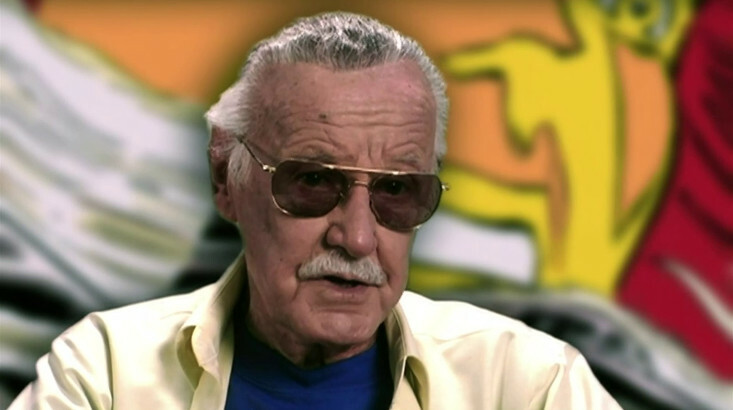 Ultimately, this is an okay documentary, the story of Stan Lee, largely told by Stan himself. It could hardly be described as "gritty", but then neither could it be entirely described as being made with the mentality of "puff piece" journalism. 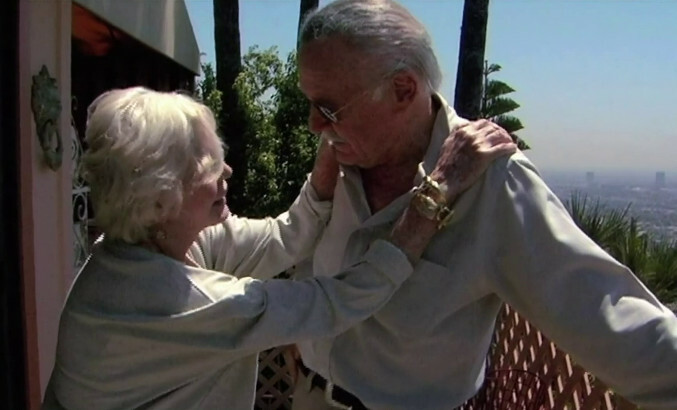 For where the documentary really rewards is in showing Stan's home life and relationship with his family, something largely unseen behind the public persona. For once, jovial Stan stands silent as his wife recounts the story of their second daughter's death at just a week old, and their failed attempts at adoption. It ends with touching scenes between the two, and the feeling, perhaps, that you've got to see a little of the man behind the PR facade. While the public persona of Stan Lee was like a favourite uncle, it's also nice to see what really makes him tick. His wife Joan is only too well aware of his "showman" side, telling him during one intimate moment, "now, don't look at the camera!" For once, poor Stan was innocent. Some of his final words in the documentary are particularly poignant: "I wanna do more of everything I'm doing. The only problem is time. I just wish there were more time."